Beetroot hot soup with beans and balls - Borscht. Recipes from Russia. 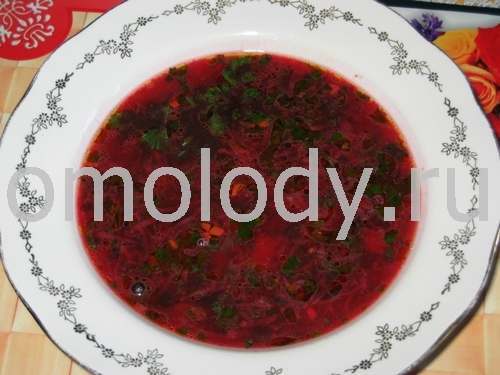 Beetroot hot soup with beans and balls - Borscht. Garlic oil from crushed cloves or garlic capsules can heal surface infections, cuts, herpes blisters, and other ailments. 2 beets, washed, peeled, grated, simmered. 200 g (7 oz) fresh cabbage, shredded. 1 potato, washed, peeled, cubed. 3 tbsp white beans, washed, soaked in the water. 20 g, 6% ( 1oz) vinegar. Chopped green Celery, dill, parsley, coriander, green onions, bay leaf, pepper, to taste. 200 g (7 oz) beef, minced. 1 - 2 tbsp water, or milk. 1. Cook beans in the water until done, add potato and cook for 15 minutes. 2. Blanch onion in oil until golden, add carrot and tomato paste. Stew for 7 - 10 minutes, (use a frying pan). Peeled and grated beet simmer in oil. Add vinegar. 3. Put shredded fresh cabbage in to broth. Cook for 15 - 20 minutes. 4. Mix all ingredients for balls. Shape small balls and put into boiling broth with vegetables. 5. Add to broth sugar and salt to taste. 6. Add to broth all fried vegetables: onion, carrot, tomatoes, beet. Cook for 15 minutes. 7. Five to ten minutes before the Borscht is cooked, add: chopped green Celery, dill, parsley, coriander, green onions, bay leaf, pepper, garlic cloves to taste. Serve with meat balls and sour cream. 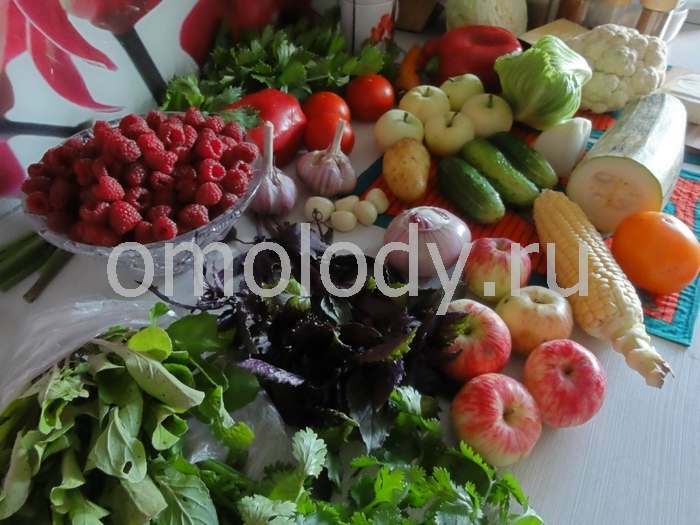 Soup will be beautiful and very tasty: red with a lot greenery.